Mountains, hills, hidden waterfalls and rivers, and the silence of age-old uninhabited villages, ancient roads used now only by flocks of sheep and goats led by the shepherds of Aspromonte area. 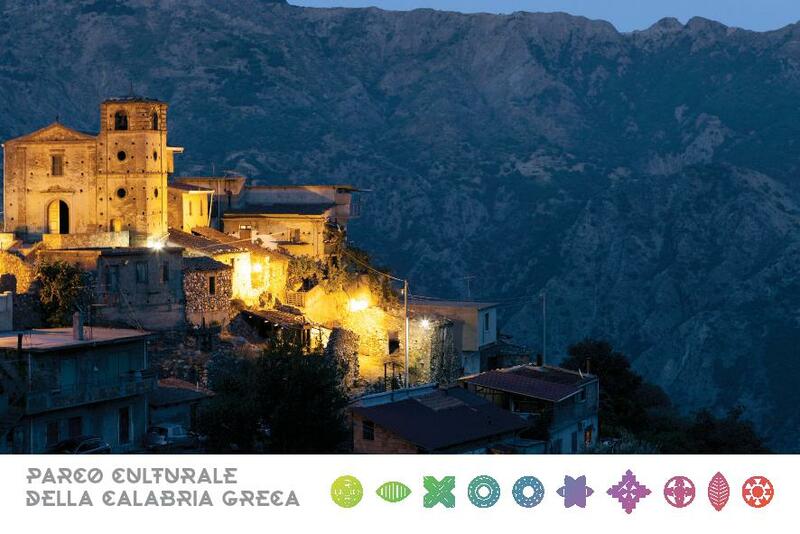 Then we have the sea and several breath-taking panoramas along with the cordiality and hospitality of the Calabrians. Unique instant pictures that remain impressed forever on the memory, requiring no particular device only the most thorough media we possess: our eyes and our hearts. 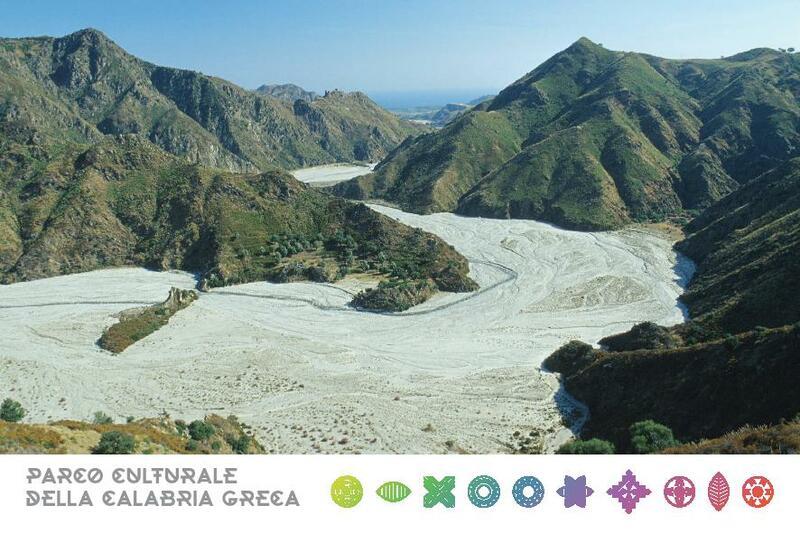 Greek Calabria, a strip of land of about 500 square kilometres, stretching from the Apromonte massif to the Ionian Sea, is the cradle of a unique civilization, of the ancient Greek language, still spoken by the older generation in the villages of Gallicianò, Bova, Condofuri and Roghudi. A language used only in the oral form for centuries, it has recently become an object of renewed interest, to such an extent as to be re-evaluated, published in grammars and anthologies studied by the younger generations. 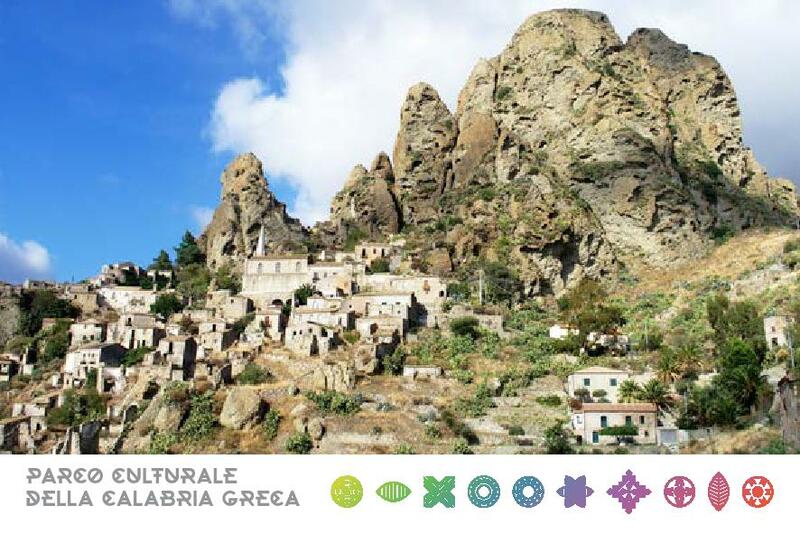 Travelling across Greek Calabria, means taking a journey through the history, traditions, architecture, flavours, culture, sounds, dance, landscapes and colours that have always characterised its identity. It means to travel availing of all one’s five senses, each of which titillated by the unique, salient traits of the Graecanic area. Sight. The Ionian slopes of the Aspromonte massif provide tours and excursions to suit the tastes and inclinations of every visitor. Steep climbs and haunting beauty for adventure lovers, or easier, simpler pathways for those who simply want to walk, while admiring and enjoying nature. Those who are fond of photography and long walks on “natural catwalks”, will enjoy moments glory their very own red carpet here. Smell. October and November are the months when the area collects its so-called “green gold”, bergamot. 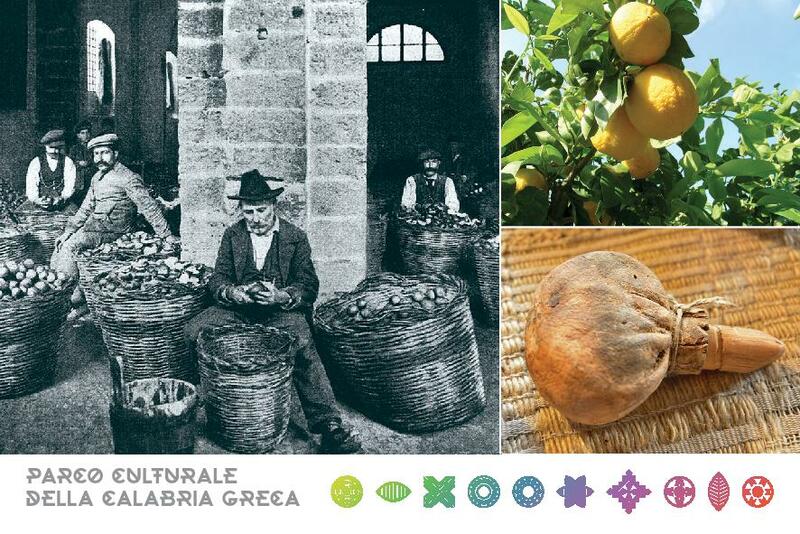 This high-quality citrus fruit, thanks to the district’s particular microclimate, is grown only on the Ionian coast of Calabria. It is essential to the perfume and cosmetics industries and, today, even to pharmacology. Every part of it, even the skin, has a function all its own. Its distinctive scent is truly exclusive. Taste. Its plain country cooking avails of simple and natural ingredients. The kitchen-garden of the small local farmer is the chef’s larder. The main dishes are zippole, lestopitte, cheeses, charcuterie, maccarruni, cudduraci and petrali, accompanied by Palizzi’s IGT wine and followed by bergamot liqueur. A feast for the taste buds. Hearing. 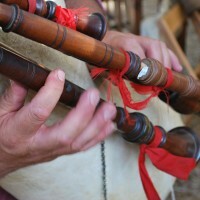 Bagpipes, accordions, the Calabrian lyre and the inevitable goatskin tambourine. 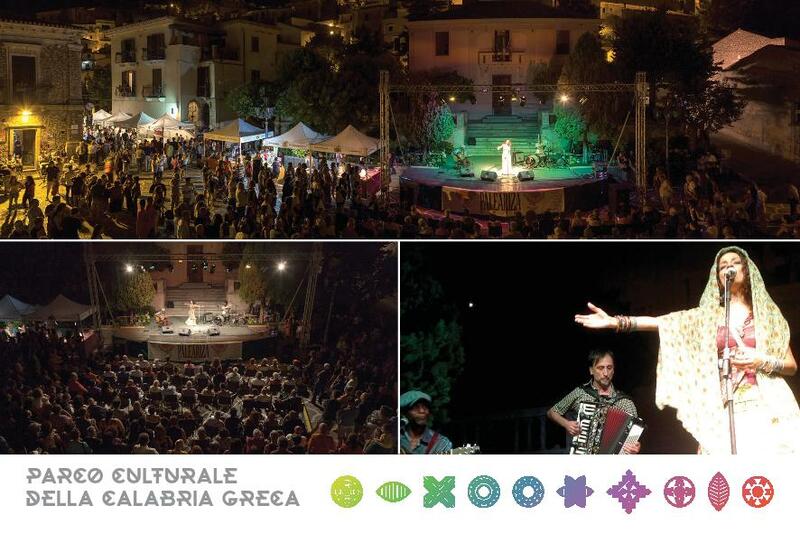 The tarantella played by the local masters of sound is a veritable art. Then, the instruments made by expert artisan hands, distinctive sounds and liberating dances. In summer there is the Paleariza (lit. 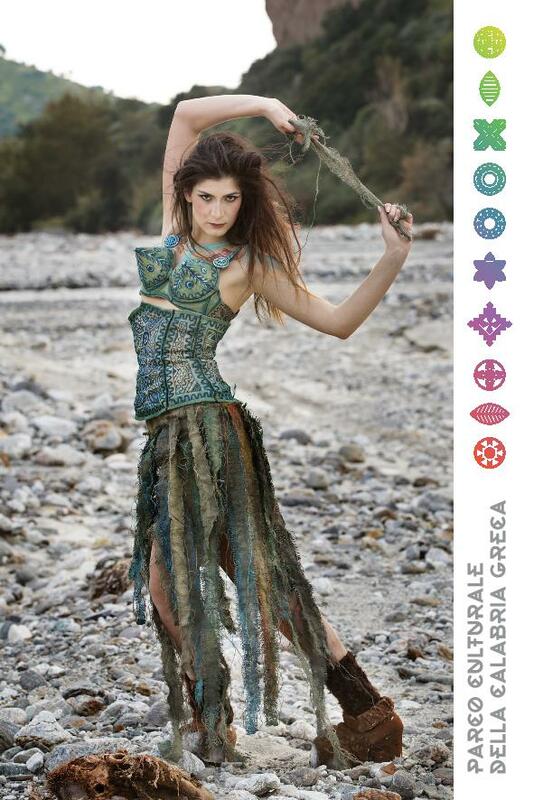 ancient roots) ethno- Ethnomusical Festival, awarded the Italian Ministry of Tourism’s Patrimonio d’Italia [Heritage of Italy] seal in 2011, a trademark attributed to cultural events that enhance the image of Italy and promote tourism. It takes place every year and attracts thousands of music lovers. Sound and tradition. A perfect end to a perfect day’s trekking, to be enjoyed after an excellent dinner. Touch. The farmer’s kitchen garden, the shepherd’s dairy, the artisan’s workshops are open to those who wish to learn, hands-on. 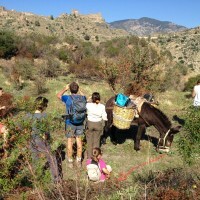 The “green”, “sustainable” traveller is brought into direct contact with the local arts and crafts, allowed to pick the salad he/she will taste at dinner or help the shepherd make cheese, from the milking stage to the final product. This experience is ideal for those who wish to “soil their hands with flavour”. 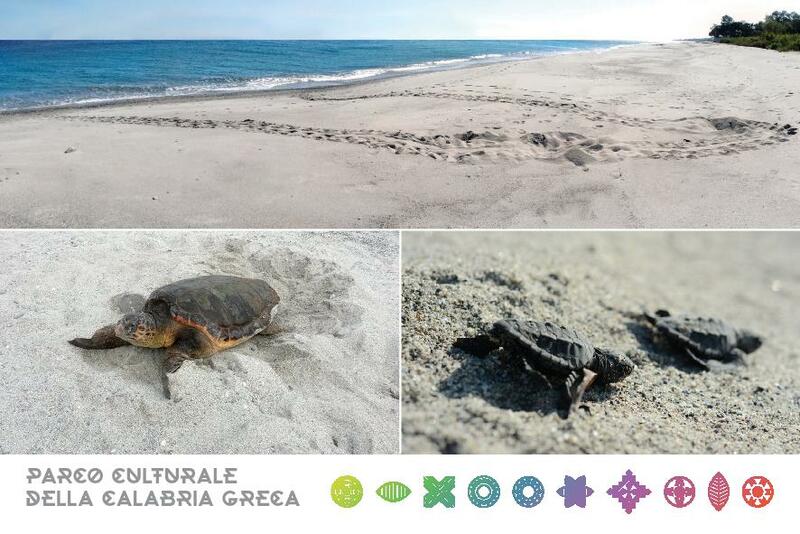 It is an ancient root, or riza, to use the Calabrian-Greek term, which, in this part of Calabria, drives the Graecanic area, this sense of belonging to a land rich in resources, which is doing its utmost to raise itself up again after years of distortions and inadequate policies. 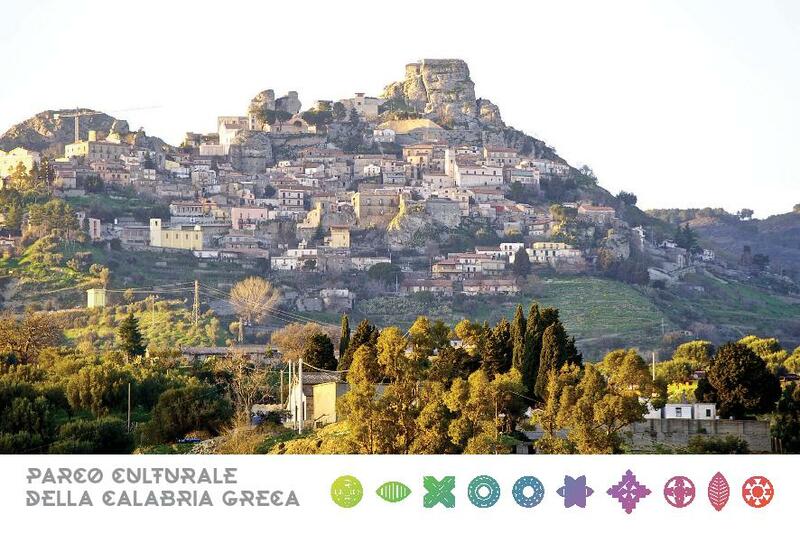 A five-day tour through a number of Greek Calabria’s ancient villages where the pace of daily life is still slow and time seems to have come to a standstill, a journey through the history and culture of the Greeks of Calabria, in search of their ancient roots and hospitality. It is essential to bring comfortable walking shoes, a pocket raincoat and / or foldable umbrella in case of rain. 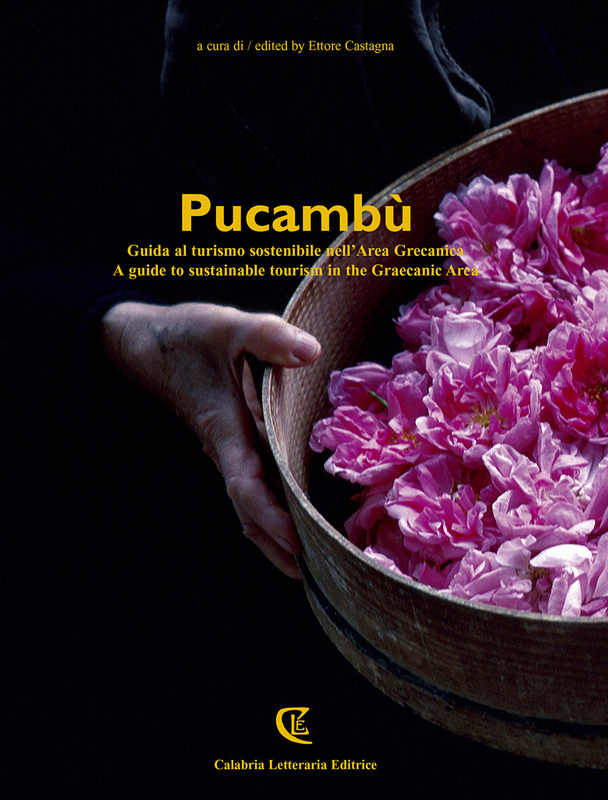 Upon Arrival in Greek Calabria, guests will receive a complimentary copy of Pucambù – Guida al Turismo Sostenibile dell’Area Grecanica (a guide of Sustainable Tourism in the Greek Calabrian Area, in Italian and English). Kalòs Irtéte (Welcome) to Calabria Greca. Arrival: a Reggio Calabria e trasferimento nell’antico Centro Storico di Bova. Overnight say: B&B Kalòs Ìrtete Stin Chòra. From Bova to Amendolea. A journey journey through history, amid gardens and the fragrance of Bergamot. Breakfast: B&B Kalòs Ìrtete Stin Chòra. 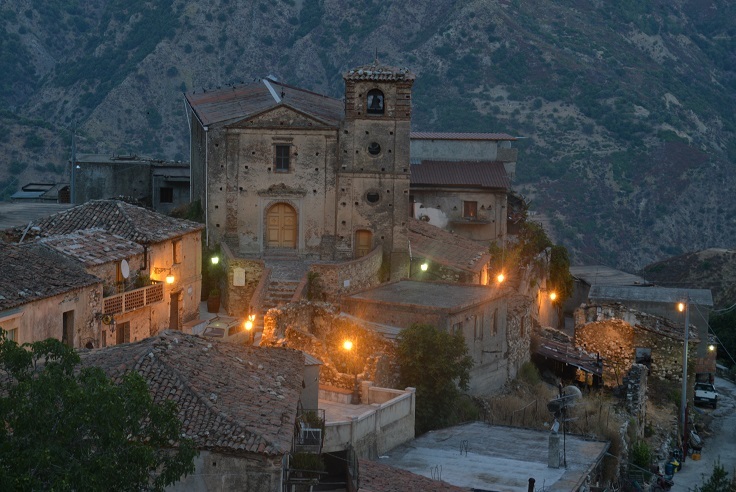 Bova (called Vua, from Βοῦα), at 820 metres above sea level , is the most important and best-preserved historic centre of Greek Calabria and officially listed among Italy’s Most Beautiful Villages [Borghi più Belli d’Italia]. Bova has always been known as I Chora (ἡ Χώρα) meaning the city/town, having been of significant administrative and religious importance from Byzantine times; it was once a cathedral town, the District Capital and the Seat of the district law courts and, until the beginning of the twentieth century, the most populous centre , the very heart of Greece Calabria. Of the various stories rooted in the myth, the best known is that which claims that the rock on which the castle stands contains the outline of a human footprint. According to tradition this footprint belonged to a queen (Oichista) who came here with her people to found the town. We shall take you to our village, through the small characteristic cobblestoned streets, to visit the churches, most important of all, the Cathedral, the Sanctuary of Saint Leo, the Museums, the ruins of the Norman Castle, the ancient palaces of the nobles. Among these is Palazzo Tuscano which houses one of the Centri Visita del Parco Nazionale dell’Aspromonte [Offices of the Aspromonte National Park’s Visitor Centre]. Here, you can find out more about the area by consulting documents, viewing audio-visuals and examining the tools of the local farming tradition, while acquiring knowledge concerning the natural beauty and historical-cultural heritage of Aspromonte. 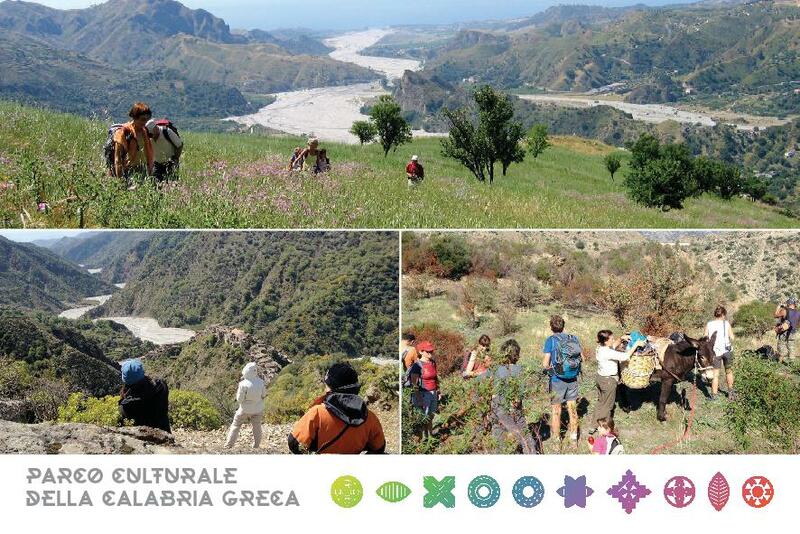 A preview of your trip to the Aspromonte may be obtained by consulting Corrado Alvaro’s Gente in Aspromonte (People in Aspromonte) or following Il Sentiero dell’Inglese or The Englishman’s Trail, plotted by Edward Lear, an English traveller who, in 1847, visited Greek Calabria on the back of a mule. Transfer to Amendolea di Condofuri (120 metres above sea level) for at the Il Bergamotto rural hospitality farmstead A Greek-Calabrian wine-and-food experience, born of the ancient peasant knowledge and knowhow and based on the produce of the Aspromonte area. Lunch: Agriturismo “Il Bergamotto” (Amendolea di Condofuri). Conducted Tour of “Il Bergamotto” farm. In the company of Ugo Sergi owner of the Il Bergamotto farmhouse-inn enterprise, our guide, strolling through the bergamot groves, we shall discover the history of this scented citrus, shaped like an orange, like a lemon in colour, and which grows only here in this part of Calabria. Our community’s treasure-trove which yields an essential oil used as a fixative in the production of perfume but also in that of other cosmetics (salts, soaps, etc.). The skilled hands of our craftsmen have also used the dried skin of the fruit to produce original objects (snuff boxes, jewel cases, etc.). Today the juice and other parts of the bergamon make delicious confectionery and liqueurs, and, following recent research, are also used to treat cholesterol. Walk around and visit of the ruins of the Ancient Village of Amendolea and the castle of the noble Ruffo di Calabria family. 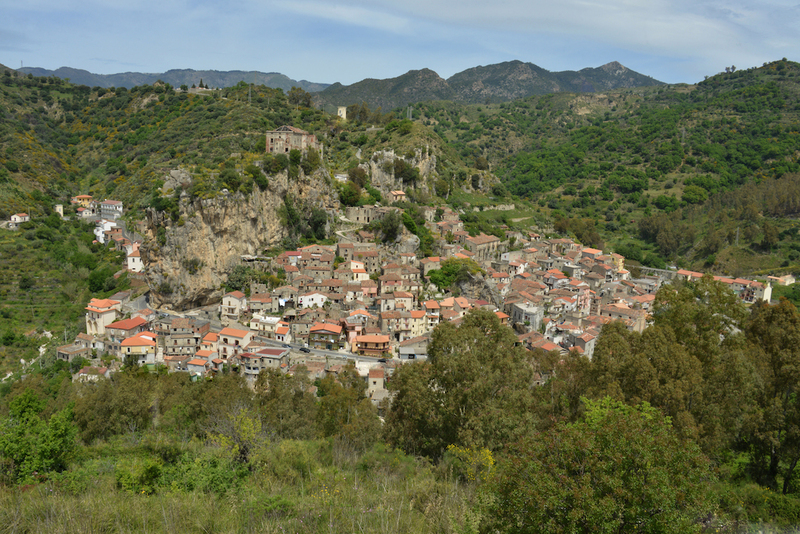 The tour of the Bergamotto farm will be followed by a 90-minute walk to the ruins of the ancient Hamlet of Old Amendolea e and Ruffo di Calabria Castle. After this, the tourists will return to Bova for dinner and overnight stay. Overnight stay: B&B Kalòs Ìrtete Stin Chòra. 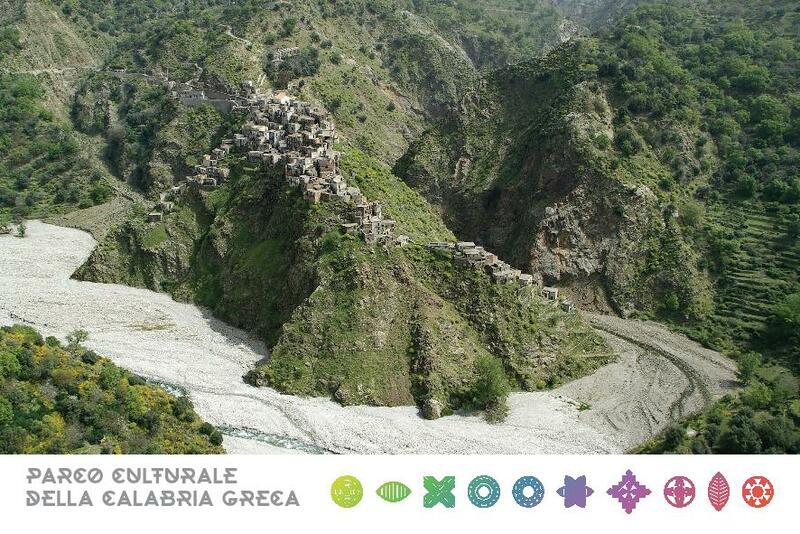 In the heart of Aspromonte, amid the Mountains and Hamlets of Greek Calabria. 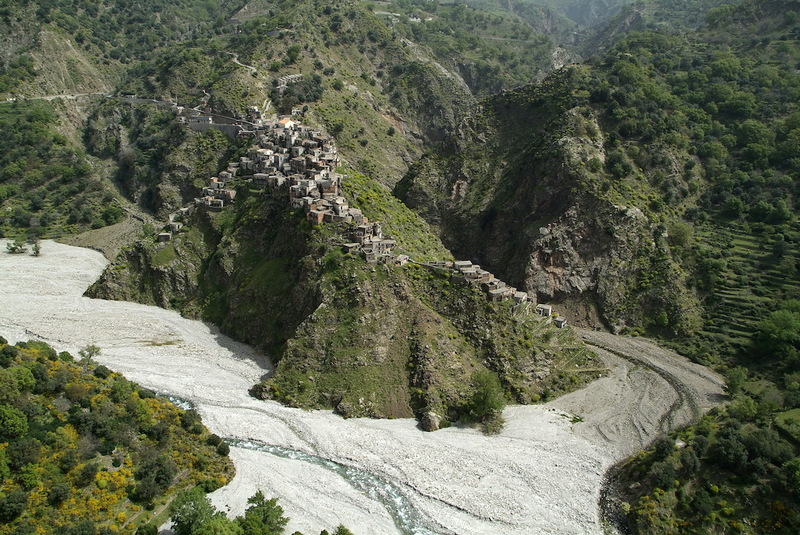 The village of Roghudi Vecchio (527 metres above sea level), perched atop an outcrop in the middle of the Amendolea River, was abandoned by its inhabitants in the late 1960’s due to flooding. Today, this mysterious village arouses unrepeatable feelings in those who visit it. The scenery is breath-taking! 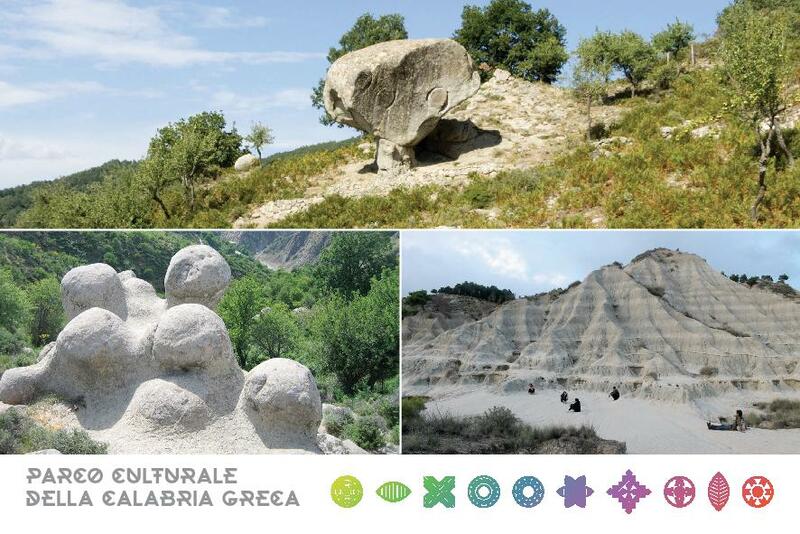 During the journey from Bova to Roghudi Vecchio, along the road which passes through some of the Aspromonte most evocative areas, we shall come across some highly unusual rock formations like the Rocca del Drago [The Dragon’s Fortress] and the Caldaie del Latte [The Milk Cauldrons]. 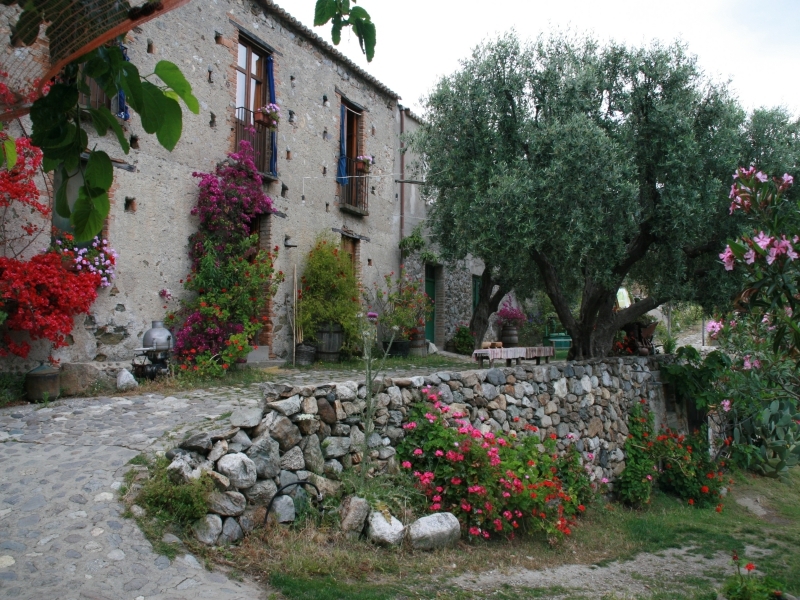 Guided tour of the Hamlet of Gallicianò. From Roghudi Vecchio we reach the village of Gallicianò, having passed through impassable roads and unique landscapes. 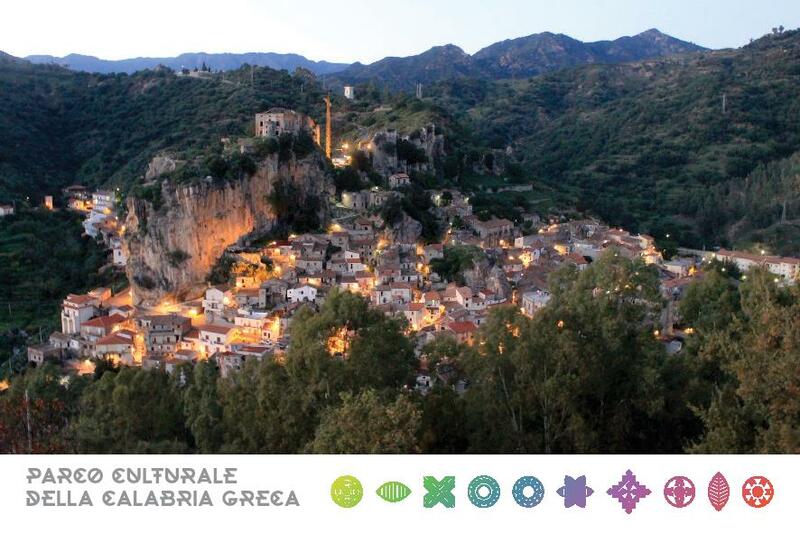 Gallicianò is perhaps the most distinctive of the Greek-Calabrian villages, a small enclave which still preserves the ancient Calabrian-Greek tongue, the culture, religion, rituals, music, traditions and cuisine of Graecanic Calabria, handed down orally from generation to generation. Luch: at the Taverna Greca. Lunch at the Taverna Greca will be a festive occasion, a true Greek-Calabrian feast for our guests, a reception in our style. 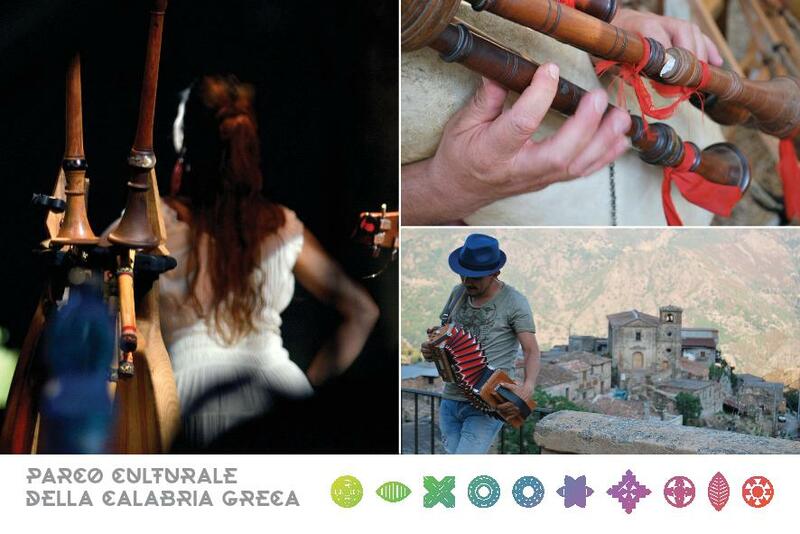 A sequence of country dishes faithful to tradition, good Palizzi wine, Graecanic music and dance performed by Musicisti di Gallicianò, traditional musicians and dancers from the town. Transfer from Gallicianò to the Agunì Farmhouse-Inn, Palizzi. Dinner: at the Agunì rural hospitality farmstead and inn. Overnight stay:at the Agunì rural hospitality farmstead and inn. 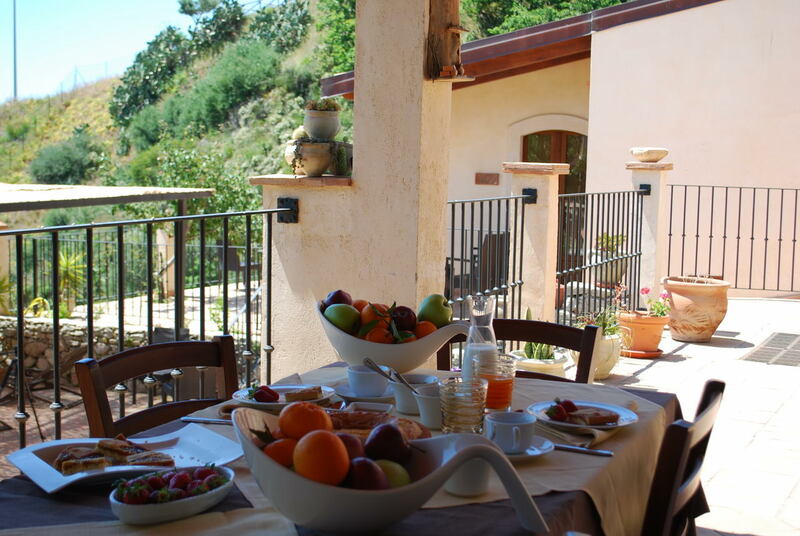 Breakfast: at the Agunì rural hospitality farmstead and inn. Guided tour of the Hamlet of Pentedattilo. Pentedattilo (Pentadattilo in Calabrian Greek), from the Greek Pentedàktylos, five fingers, is a small semi-abandoned hamlet, a veritable ethno-architectural jewel which has maintained its charm down through the ages. The village -once home to feudal noble families (the Albertis and the Abenavolis), still contains remains of the old castle – is the hub of valorisation projects run by the Pro-Pentedattilo Association [Associazione Pro Pentedattilo] responsible for the restoration of buildings now used as arts and crafts workshops and, for the creation of social and cultural activities and initiatives of great value, for example, Campi del Servizio Civile Internazionale [International Civil Service Camps] and the Pentedattilo Film Festival. With Peppe Toscano, who will act as our guide, we shall enter into contact with the history of the small village of Pentedattilo, from the tragic seventeenth-century massacre of the Alberti family to the present, and imagine its future. In 1930 the Dutch artist Mauritius Cornelis Escher represented Pentedattilo in a series of lithographs. Guided tour of the Porta del Parco Nazionale dell’Aspromonte [Gateway to the National Park of Aspromonte] and the Olive Oil Museum, Bagaladi. another hamlet famous for its olive groves and top-quality olive oil production. In the company of our guide, Peppe Battaglia, we shall visit the Cooperativa Grecale, the Museo dell’Olio [Olive Oil Museum] inside the Porta del Parco Nazionale dell’Aspromonte di Bagaladi [ The Gateway of Bagaladi’s National Aspromonte Park] building. Lunch: at the Cooperativa Grecale – The Gateway of Bagaladi’s National Aspromonte Park. 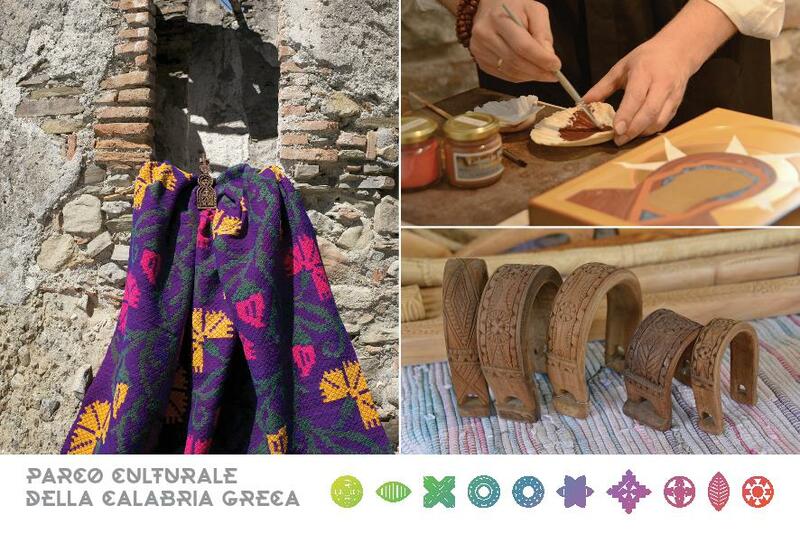 There will be an opportunity to become acquainted with more typical foods and wines of Greek Calabria in a refurbished old oil mill, once used for pressing olives and making oil the old way, availing of original equipment and traditional methods. Guided tour of the hamlet of Palizzi. After lunch at Bagaladi we move on to the hamlet of Palizzi, a name which probably derives from the Byzantine Greek Politzion, meaning little city. 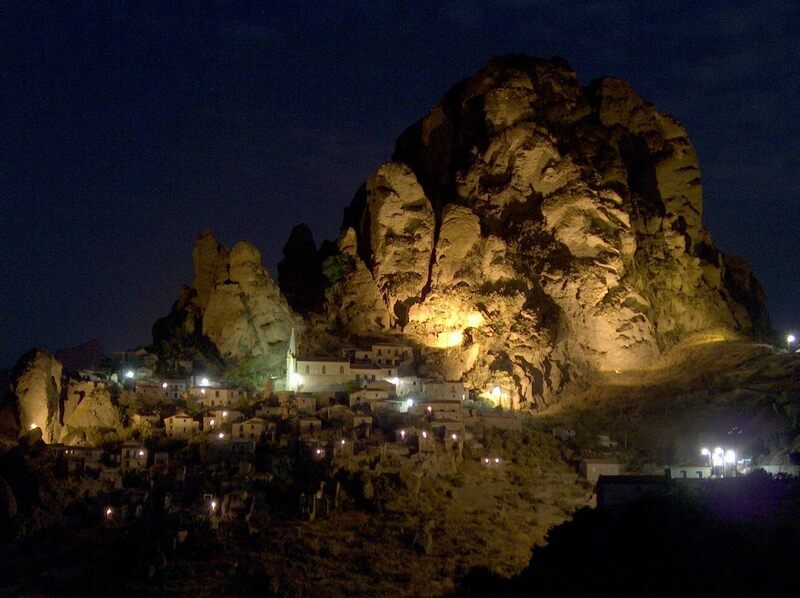 The village is charming, and seems to have been carved out of the rock. From an artistic point of view, Palizzi contains a number of churches of great interest, like that of Sant’Anna [St. Anne], with its Byzantine dome or that built in honour of Our Lady of Mount Carmel, located in Carmine Quarter and the Castle overlooking the entire village. In 1930, Mauritius Cornelis Escher made a lithograph of Palizzi. Characteristic of Palizzi are its Catoj, the underground premises where the local farmers kept their barrels full of red wine, today labelled IGT Rosso di Palizzi one of Calabria’s most appreciated wines. It will give us great pleasure to welcome you to Aurelia Tassone’s B&B’s Catojo and share a glass of Aranghìa, one of the Cooperativa Terre Grecaniche IGT Palizzi red wines mentioned in the Slow Wine Guide of 2015. Everything in a spirit of friendship. Transfer from Palizzi to the Agunì rural hospitality farmstead and inn. 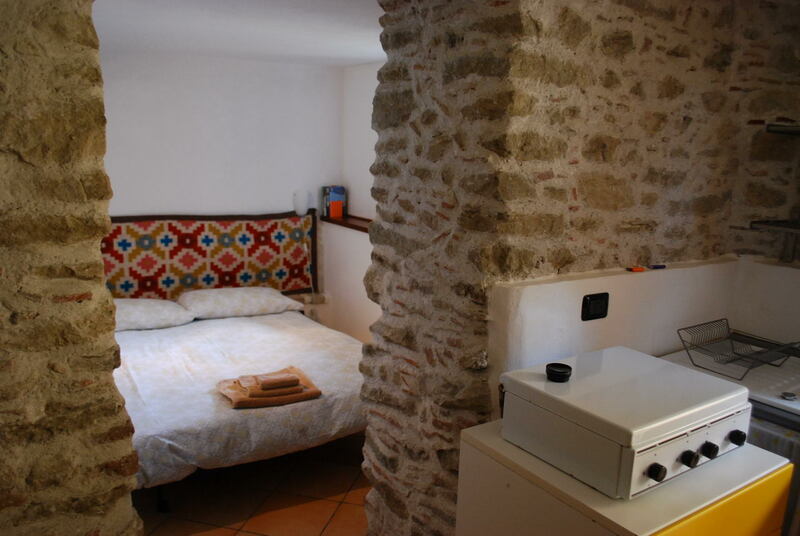 Overnight stay: at the Agunì rural hospitality farmstead and inn. Goodbye to the Calabria of the Greeks. Transfer to Reggio Calabria, care of the Cooperativa Naturaliter, and (depending on departure time) the chance of visiting the Museo Nazionale della Magna Grecia [National Museum of Magna Grecia] to admire the Bronzi di Riace [Riace Bronzes] and other lesser-known exhibits. Overnight stay e Breakfast: € 40.00 per persona. Half board (Overnight stay, Breakfast, Lunch or Dinner): € 60.00 per person. Full board (Overnight stay, Breakfast, Lunch, Dinner): € 80.00 per person. Overnight in a double room with en-suite bathroom. Bed and board for children under 6 is free. A 10% discount for families and/or groups of at least 4. € 80, 00 for 5 – 8 persons. Conducted tours of villages/hamlets and trekking guide (transport included). € 120, 00 per day for groups of 3 – 8 persons. 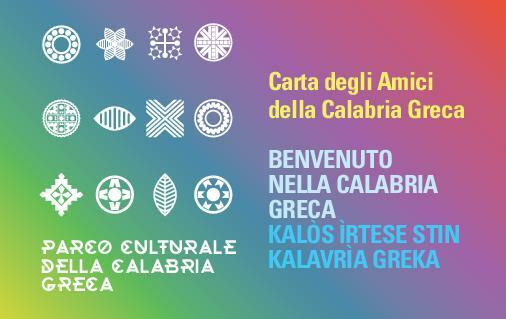 The Carta degli Amici della Calabria Greca [Greek Calabria Friendship Card] giving the right to discount on the purchase of typical local wine, food and craft products on sale at the B&B’s, Farmhouse-accommodation locations or the arts-and-crafts workshops of the Graecanic Area’s villages. Ticket price depends on the services that will be required for housing, food , the transfer and guide services . You can request a personalized estimate , after registering on the Greek Calabria Portal. The quote you will be forwarded to your Personal Page of Portal Calabria Greca. You can confirm your booking directly into your Personal Page after Averre accepted the estimate. Hou much 20 + 6?